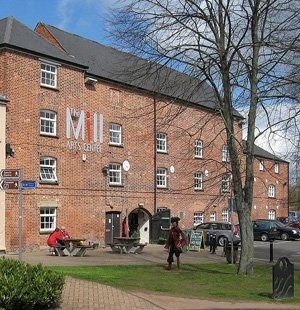 The Mill is an arts and community centre, based in an old mill building close to the canal in the heart of Banbury. The building is owned by the County Council. Both the County Council and Cherwell District Council have supported The Mill financially but the current economic climate requires organisations like The Mill to stand on their own two feet. The location of The Mill, next to the canal, presents a wonderful opportunity but one that has not been fully developed yet. Waterways are a huge draw for people and this area could be turned into a great cultural and social centre. However, the Castle Quay shopping centre closes promptly at 6:00 pm and the whole area quietly dies. With more imaginative planning, there could have been cafes, restaurants and wine bars along the canal and it could have thrived as a night time destination of choice. This can still happen and it is an ambition of both the County Council and of Cherwell. I want to see The Mill thrive and I want to see the customer base grow and broaden. I would like it to become the destination of choice for an evening out for people in North Oxfordshire’s leafy villages as well as the town. I would like it to have a reputation for high quality. I served as Chairman of the Executive from 26-Jun-13 to 31-Mar-16 and was then Chairman of the Board of Trustees from the incorporation of the trust on 01-Apl-16 to 29-Jun-17. I felt four years was long enough for someone to hold this post so stood down as Chairman but was promptly elected as Vice-Chairman. I resigned from the trustees on 30-Apl-18 and now act as the management accountant of the trust. You can find out more at www.themillartscentre.co.uk. Friends of Adderbury Library (Focal) Charity No: 1070930. In 1997, John Prescott capped Oxfordshire County Council, the Council had to make further cuts to its budget and the library was under threat of closure. 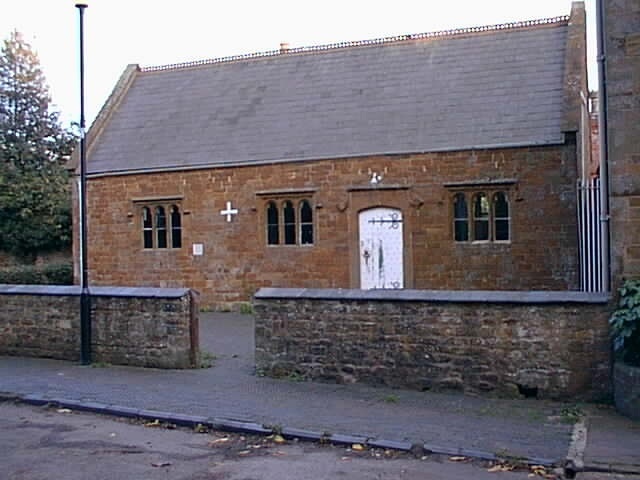 Adderbury set up a group to save the facility locally. This group was very active and crystallised as Focal and sought charitable status. Its status was confirmed on 6 August 1998. I served as the first Chairman. The threat of closure was reduced to a cut in the opening hours and the Executive Committee resolved to raise sufficient funds to maintain Saturday opening. However, the library was housed in a small building opposite what was then the Post Office in the centre of the village. It was small, damp and not a good working environment. We speedily resolved to secure the library’s future by moving to better premises. Church House was identified as an appropriate building. It was dowdy and in need of improvement. A specification identified a cost of some £70,000 to turn it into a worthy village resource both to house the library and to become a better resource for the village and for the Church which owned it. We raised £10,000 each from the County Council, Cherwell District Council, the church and the Trust for the Environment with the Parish Council pitching in £5,000. This left us with a shortfall of £25,000. This was raised in pretty quick order by a concerted campaign of fund raising around the village, tapping rich and poor alike for whatever they could give. The fund raising was master minded by an Executive member, Don Malpas, who has, very sadly, subsequently died. Church House was refurbished with Chris Wardley acting as clerk of works. The completed renovation was re-opened by the Bishop of Dorchester. Focal then moved from major project mode into a maintenance mode where the principal aim was to raise sufficient funds every year to pay the county council for the Saturday opening hours. This was always achieved and it was usually possible to provide additional funds for equipment or extra books. Pat Cox was a very successful Chairman until he succumbed to cancer and he was followed by Cllr John Harper who brought his social and networking skills to bear for the benefit of all. After John, Gail Cripps took on the mantle of Chairman and continued the work of organising regular events, designed to raise the necessary funds, to raise the profile of the library as a village resource and to have some fun along the way. To raise sufficient funds to replace the lost funding and to maintain library hours. We are all agreed that reducing opening hours is not an option and Focal is going to have to manage a combination of volunteering and fund raising. In 2013, John Cordingley asked me if I would be willing to take on the role of Chairman again to guide Focal through the steps necessary to deliver on this new phase. I agreed to do this but subject to my wish to change the way in which Focal works to reflect the substantial increase in activity that will be necessary. At the AGM in 2018, I stood down as Chairman after serving for six years but remain a member of the Focal Executive and committed to working to support Adderbury Library and Church House as community hubs. I welcome Liz Wingrove as my successor as Chairman of the Executive. You can follow Focal at www.adderburyfocal.org.uk. This is a relatively new group, commissioned by Adderbury Parish Council to identify local need and support for sports and community facilities at Milton Road where the Parish Council has received a donation of seven acres of land. An application for charitable status is currently with the Charity Commission. Four trustees are elected from the membership and three are appointed by the Parish Council. I am a Parish Council appointee. WFAC is consulting user groups in and near the village to identify needs and ability to pay for sports and community facilities on the Milton Road. WFAC is also engaged in fund raising towards the costs of building and maintaining the facilities.